Repatriation of Dadaab refugees to cost Sh20bn – Kenyatta University TV (KUTV). All Rights Reserved. Repatriation of Somali refugees from the Dadaab refugee camp will cost Sh20 billion. A task force report, exclusively seen by the Star, indicates the cost involves facilitation of the refugees movement, provision of non-food items and cash grants. The government has already allocated Sh1 billion towards the repatriation drive. The 11-member National Task Force on Repatriation of Refugees was chaired by Joseph Irungu. The report, presented to the Interior ministry for implementation, shows that whereas the Kenyan government will meet the administrative and security cost, the UN refugee agency is expected to shoulder the budget. The 23-page document, maintains the more than 300,000 refugees have jeopardized Kenya’s “social and security fabric”. The report portrays the Tripartite Agreement signed between Kenya, Somalia and the UN refugees as having achieved “dismal progress” due to lack of “commitment” from the parties. So far 14,000 refugees have returned home since November 2013, when the agreement was signed. “At this rate, the repatriation under this agreement may take approximately 45 years to attain its purpose,” the report reads in part. It says Kenya is within its obligation in serving its national interest. “It is imperative to note that the general rule of international laws and any ratified convention and treaties must be in tandem with the current situation of the country,” it says. The report cites the post-9/11 introduction of the Patriotic Act in the US to strengthen domestic security and broaden the powers of law enforcement agencies with regard to identifying and stopping terrorists. “In fact most European countries have shifted towards more insular policies looking to serve the national interest over any commitment towards common European solutions,” the report adds. 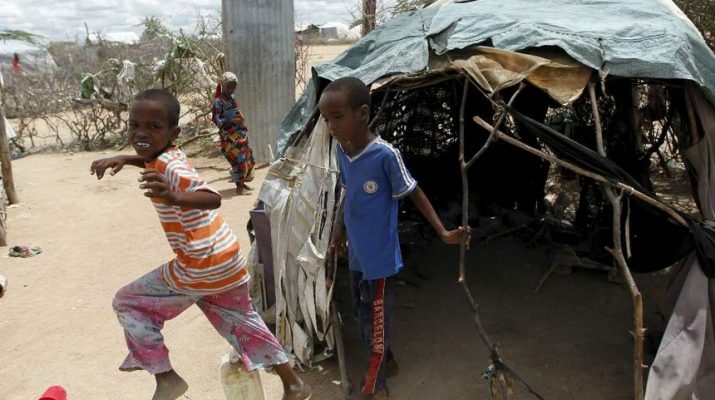 The report said refugee verification drive will take a maximum of 60 days in the Dadaab camp, with 10,000 refugees being verified daily in the proposed 20 centers. The exercise will seek to ascertain the refugees names, proof of registration, camp, block number, country and town of origin. “This will ensure that at the end of the verification, the government will have established a comprehensive database on refugees, which will serve as a reference point in detection of those who may want to to return back illegally into the country,” the report said. The report warns of legal action against refugees who sneak back into the country after repatriation.